CCC, DAR, Penny Pines is something you should read. 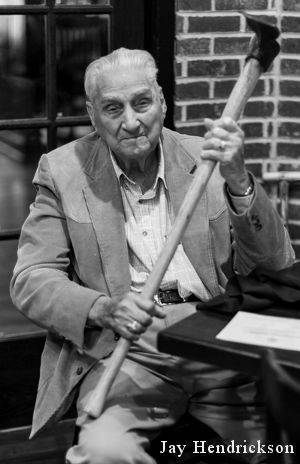 Jay Hendrickson was in the Civilian Conservation Corps and spoke at the D.A.R. marker rededication on November 3, 2017. 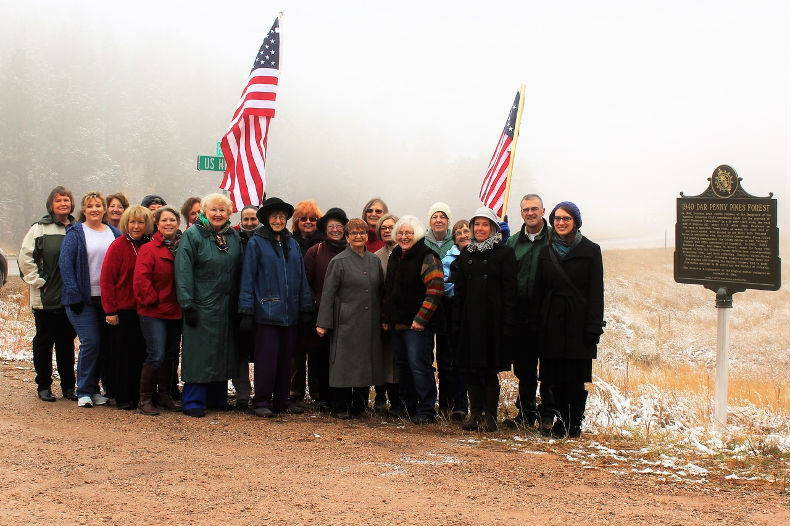 In 1940, fourteen South Dakota chapters of the Daughters of the American Revolution (D.A.R.) 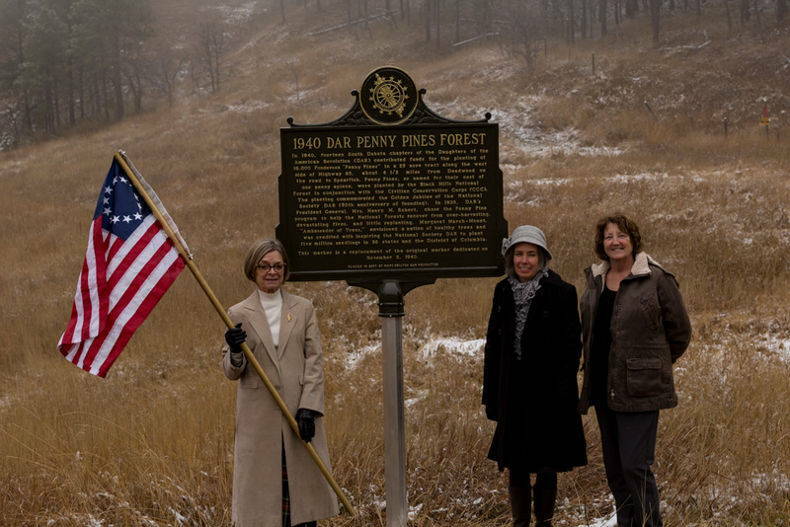 contributed funds for the planting of 18,000 Ponderosa "penny pines" in a 25 acre tract along the west side of Highway 85, about 4 1/2 miles from Deadwood on the road to Spearfish. 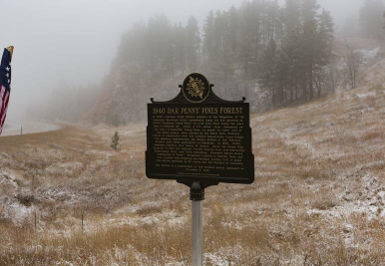 Penny pines, so named for their cost of one penny apiece, were planted by the Black Hills National Forest in conjunction with the Civilian Conservation Corps (C.C.C). The planting commemorated the Golden Jubilee of the National Society D.A.R. 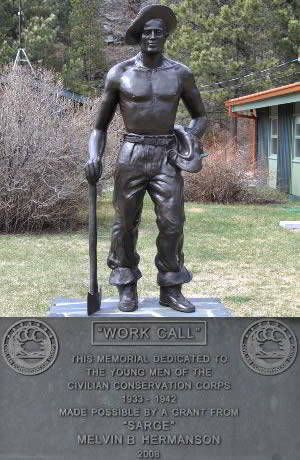 (50th anniversary of founding). In 1939, D.A.R. 's President General, Mrs. Henry M. Robert chose the Penny Pine program to help the National Forests recover from over-harvesting, devastating fires, and little replanting. Margaret March-Mount, "Ambassador of Trees," envisioned a nation of healthy trees and was credited with inspiring the National Society D.A.R. to plant five million seedlings in 36 states and the District of Columbia. 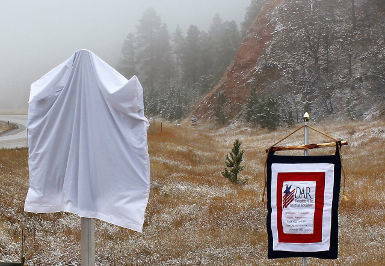 This marker is a replacement of the original marker dedicated on November 3, 1940. 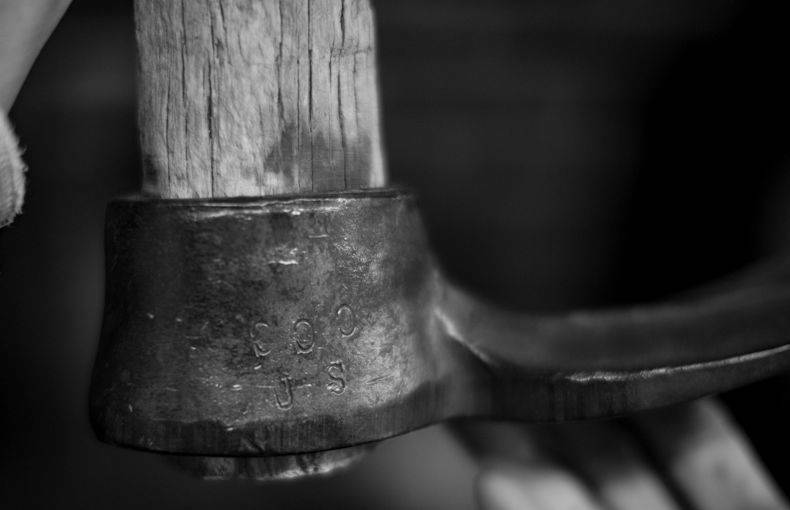 The National Society, Daughters of the American Revolution was founded in 1890 to promote patriotism, preserve American history, and support better education for our nation's children. "Seeing the tool used to plant 'penny pines' was a real bonus." Seeing the tool used to plant penny pines was a real bonus.